DJI is without any doubt the market leader in the drone industry. 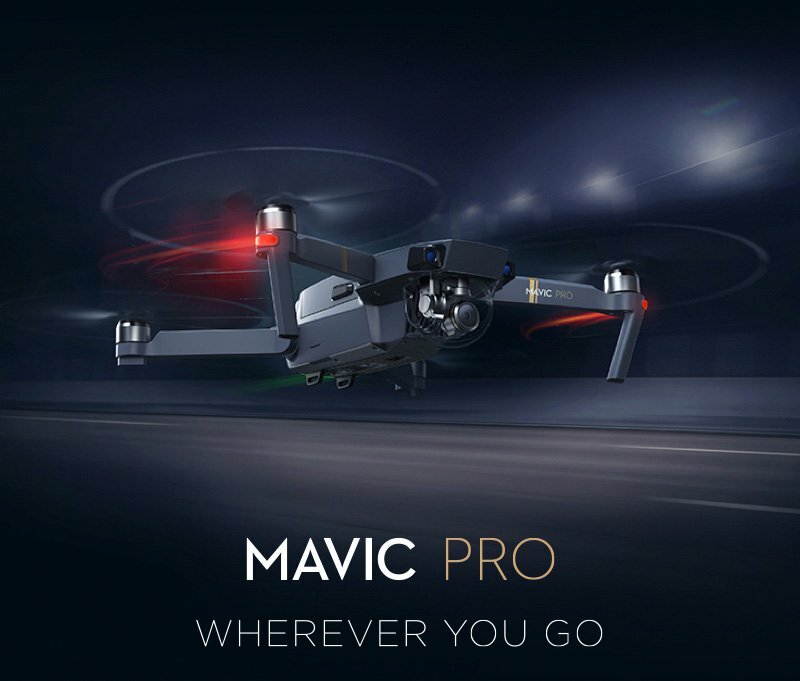 Following the big success of the Phantom and Inspire models, they’ve just launched a completely new product: the MAVIC PRO. If until a decade ago, due to their entry barriers (very expensive, difficult to operate, heavy, etc. ), commercial drones were just for a small number of people, things have definitely changed in the last few years. 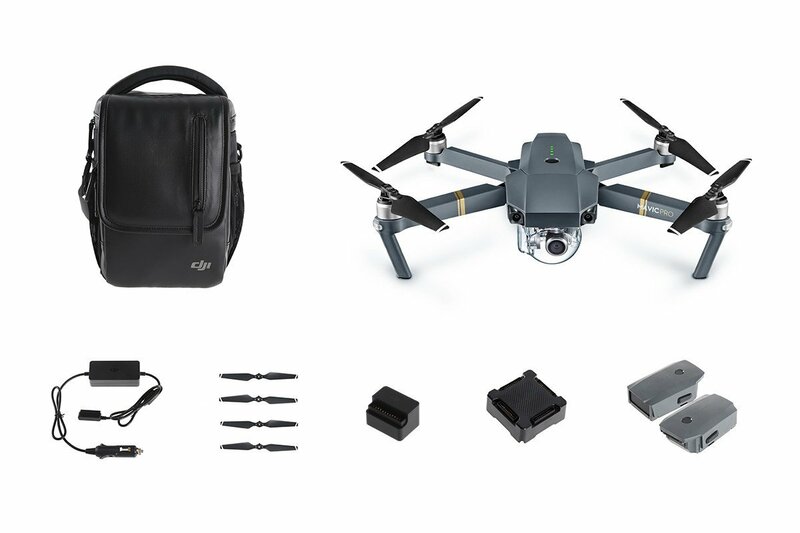 We are now able to carry a drone paired with a professional camera in a backpack of a couple of kg: this revolution allowed creatives from all over the world to produce high quality content in remote locations. I’m a drone shooter myself and I greatly appreciate the fact that I can carry my Phantom 3 along in my travels. Still, there is a wide range of people for which carrying a relatively big backpack with a drone in it is not convenient. Let’s think about hikers, bikers, snowboarders, all sport people in general, as well as people which just want to capture some memories: they would definitely need something extremely portable, which will still grant quality results. 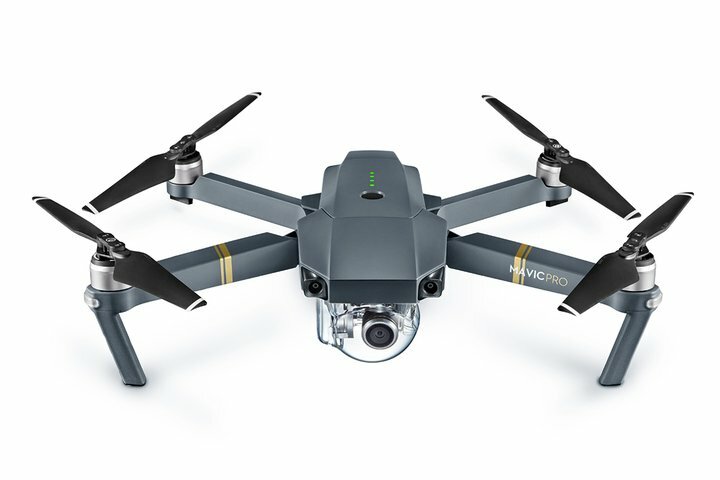 Yes, the Mavic Pro is exactly the drone all these folks were waiting for. Everything has been thought to reduce the dimensions and overall size of the drone: it fits in one hand and it features a foldable design! It weights 743g (basically half of the Phantom series) and when folded its dimensions are of H83mm x W83mm x L198mm, which is 1/6 of the Phantom 4. When unfolded, this is how it looks: slick! Being a photographer the camera is probably the most important aspect I need to evaluate. A small tool can definitely be handy to use, but can it be good enough? 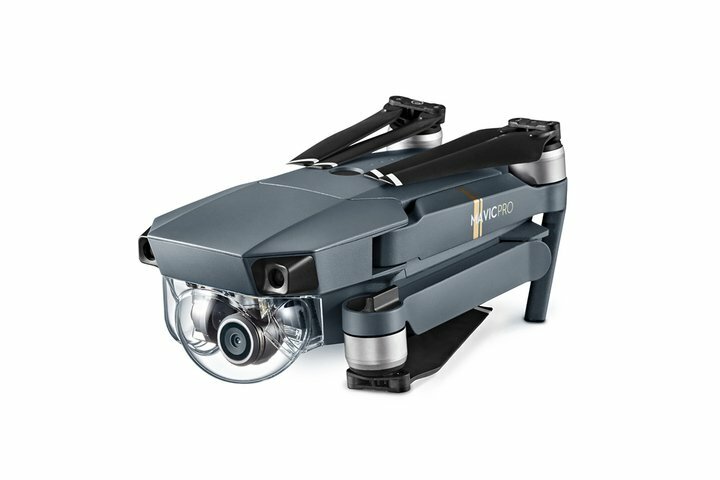 The Mavic Pro features a 12M camera (4000 x 3000 pixels), capable of recording True 4K videos (4096×2160 24p). As tradition wants it is stabilized with a 3-axis gimbal and it can shoot in Adobe DNG RAW. 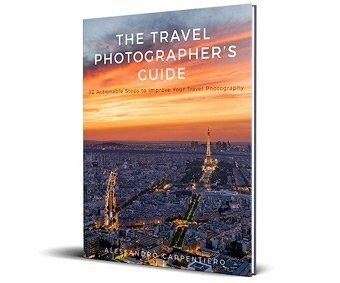 This will allow you to have more room to play with on Lightroom and Photoshop, as well as developing the image to your taste. It has a 1/2.3” (CMOS) sensor, which has the same dimension of the one on the Phantom 4. I know it’s not that big, but it’s probably the best compromise between quality and dimensions/weight. Besides that the camera has a focal length of 28mm (35 mm format equivalent) and a fixed aperture of f/2.2 with focus from 0.5 m to ∞, which makes it usable in most situations without much effort. We can’t surely ask for impressive low-light performances due to the reduced size of the sensor, so I’d go easy with pumping up the ISO. Still it has an ISO range of ISO 100-3200 (video) and ISO 100-1600 (photo). 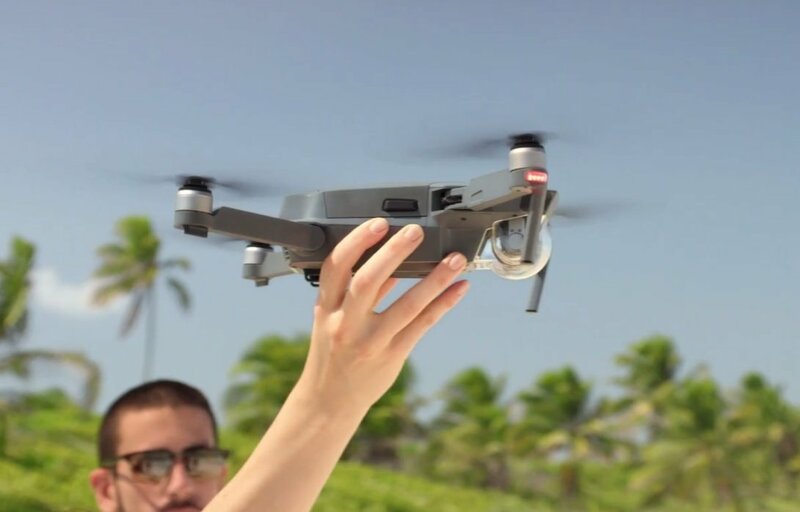 From the sample pictures/videos I’ve seen, I can say that the image quality of the Mavic Pro is inferior to the one of the Phantom 4, but it’s evident that we’re talking about two completely different products made for different usage. Normally when the main point is to reduce dimensions, some sacrifices have to be made right? Well that’s how it normally goes, but engineers at DJI really did an outstanding job: this little fella has in fact the same main features of his bigger brother, the Phantom 4. How Long Can It Fly? I know what you might think: small drone = toy. We’re indeed used to small drones which can basically just fly indoor, but this is the exact opposite. The DJI Mavic Pro has a flight time of 27 minutes and a maximum distance of 13km (8mi). These numbers are truly impressive, which means that a lot has been done to improve the efficiency of the motors, finding the perfect balance between weight and power. The Mavic comes together with a tiny remote controller, to which you can attach your smartphone to properly see what you’re shooting or filming. It’s very tiny yet very powerful, as it can stream up to 7km (4.3mi) 1080P/720P Live feed, thanks to the new OcuSync Transmission System technology by DJI. 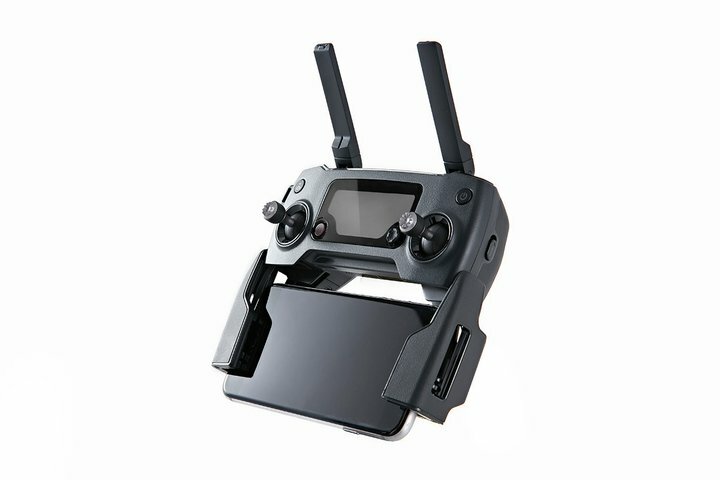 The remote is actually not mandatory to use, as you can fly your drone (from a short range) simply connecting it via Wi-Fi to your smartphone. I’d definitely prefer the remote for serious shots, but for a quick selfie from the sky this could definitely be useful. 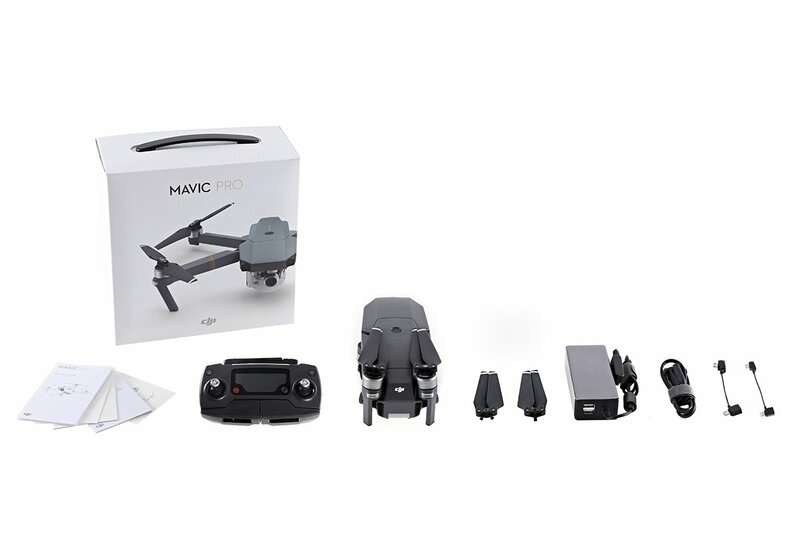 With the $1299.00 version, besides what’s above, you get additional accessories such as the car charger, one extra battery, extra propellers and a convenient shoulder bag. 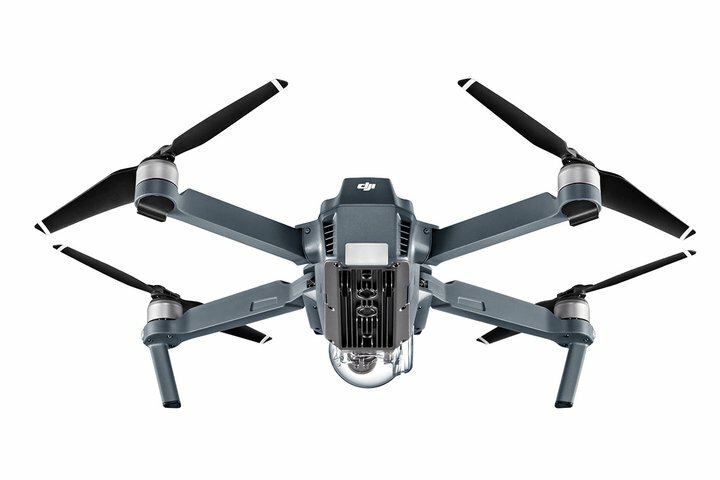 You can order the new DJI’s drone directly from their website here; it’ll be shipped from October 15th. 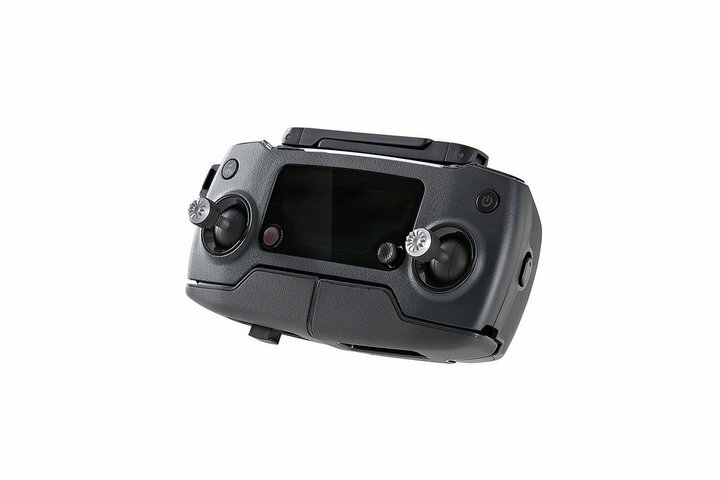 The price may seem a bit high, but we have a lot of high-tech content here, so we should take into account the costs of miniaturization and engineering that led to create a small drone with advanced functions. If you can’t afford the Mavic but you’d still like to have a “traditional” drone, then you can consider the Phantom 3 Standard for half of the price. Final Thoughts: Revolution or Evolution? One of the things that I love about DJI is that they never sit on their laurels, as they always research, develop and improve technologies, giving us tools to expand the limits of creativity. Being in the market leader position it’s very easy to fall in the incremental evolution trap, where brands just add 1 or 2 features and call a product new. DJI though is doing things right, and it keeps creating interesting and new (for real) products. They wanted to revolutionize the drone market again, and I smell another success here as they’ve created an extremely portable, yet highly capable and powerful drone for everyone. I hope I’ll have a chance to test it on the field soon; in the meantime make sure to sign-up to my newsletter to stay tuned! Thanks for sharing, i am very interested about drones. Easy to carry, less weight, raw pictures are very important specifications but when i look at phantom 4’s price it’s 1199$, so what would u do? It’s definitely the best compromise between portability and quality 🙂 Let’s wait for some sample shots to draw a verdict. I will wait your new articles, very well done and thanks. Thank you for your comment, I’m very glad to hear that you’ve found the article useful.